Bruce Luckman is an accomplished commercial litigator. He has achieved notable results for clients in jury, non-jury and arbitration cases before state and federal courts throughout the eastern United States, handling both individual and class action suits. Mr. Luckman has particular expertise in the Fair Credit Reporting Act (FCRA) and the Fair Debt Collection Practices Act (FDCPA). By representing credit providers and Consumer Reporting Agencies (CRAs) for over 20 years, he has gained unmatched knowledge of—and insight into—the credit reporting industry, credit scoring models, consumer lending practices, and compliance concerns. He has deposed numerous lenders, industry experts, and consumers. He represents several national and specialty CRAs in FCRA litigation arising out of individual and class action consumer cases, as well as vendor disputes and compliance issues. Mr. Luckman also represents business clients in a diverse range of matters, including food industry disputes, executive and healthcare employment contracts and restrictive covenants. He also represents lenders and investors in tax certificate and commercial foreclosure matters with a team of highly experienced paralegals. Mr. Luckman’s litigation successes include high-profile jury trials, and reported and precedent-setting cases. Clients have praised Mr. Luckman not only for his exceptional courtroom presence, but also for a pragmatic, strategic approach that adds client value outside the courtroom. 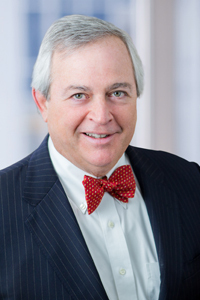 For example, Mr. Luckman has advised clients concerning their FCRA compliance protocols, particularly with respect to processing consumer disputes, reinvestigations, and communications between CRAs and credit data suppliers, and CRAs and consumers. Outside of the office (and often commuting to it) Mr. Luckman enjoys his motorcycle. He spends his free time trying to learn to cook, exercising in his historic Philadelphia neighborhood, biking, skiing and ice skating with wife and two children. Mr. Luckman has taught seminars to seniors at Central High School (Philadelphia) on the responsible use of credit and the impact of financial conduct and decisions today on credit history and subsequent costs of credit. i. Spokeo/Standing – Successfully moved to dismiss four FCRA consumer cases pending in the Middle and Eastern Districts of Pennsylvania on the grounds the cases alleged an FCRA statutory violation divorced from any concrete harm. All four motions were successful. ii. Cost effectively settled numerous individual consumer actions defending various consumer reporting agencies and furnishers in the federal courts for New Jersey, New York and Pennsylvania. 2. FCRA Vendor Dispute: Retained by an FCRA Reseller as special litigation counsel in a Chapter 11 Bankruptcy case in which the reseller’s main data furnisher threatened to terminate services which would have destroyed the Reseller’s business. After vigorous pre-trial motion practice and dozens of depositions, the case was tried over several days, including testimony by three national FCRA experts regarding consumer privacy and FCRA permissible purpose issues. Reseller prevailed at trial on the material FCRA and contract issues and during the appeal successfully settled and reorganized. i. Commercial Leases: Successfully represented regional retailer in dispute with publically held landlord over three North Jersey locations. Obtained temporary restraining order and subsequent preliminary injunction preventing a wrongful lease pre-termination and eviction which led to favorable resolution and confirmation of all three leases. ii. LLC Dispute: represented an equal owner in a hotly contested dispute over control and ownership of a nine-figure LLC with assets throughout the country. The case concerned novel issues under the revised NJ LLC statute, including fiduciary duties and entitlement to dissociation. The aggressive and successful motion practice, including defeating a complex discovery motion over sensitive electronic discovery (ESI) and laptop issues, led to a favorable settlement. 4. Commercial foreclosure litigation: Represented an investor in the successful recovery of millions of dollars in commercial mortgage loans on several Philadelphia residential projects; successfully opposed motions to strike/open confessed judgments, contested bankruptcy stay relief motions, emergency stay requests, and even an effort by a third party by be appointed as conservator for a project under Philadelphia’s Act 135.
i. Defeated a national bank's Motion to Vacate Final Judgment foreclosing its mortgage against a valuable restaurant property and won an affirmance before the Appellate Division. ii. Successfully and cost effectively recovered dozens of properties for investors by way of tax foreclosures, including prosecuting numerous motions for summary judgment and defeating many motions to vacate. Deandrade v. Trans Union LLC, 523 F.3d 61 (1st Cir. 2008). Precedent-setting ruling that legal dispute between furnisher of credit information and consumer is not a factual inaccuracy subject to FCRA reinvestigation duties. Cousin v. Trans Union Corp., 246 F.3d 359 (5th Cir. 2001), cert. denied, October 9, 2001, 2001 U.S. LEXIS 9488. Precedent-setting decision affirming District Court decision to vacate multi-million dollar verdict and grant judgment for CRA defendant. Held that lack of causation defeated FCRA negligence claim for damages and that evidence was insufficient to prove willfulness. Schweizer v. Trans Union Corp., 136 F.3d 233; (2nd Cir 1998). Widely cited consumer class action case holding that summary judgment on the merits is proper before class certification is decided. Podell v. Citicorp Diners Club, 914 F. Supp. 1025 (S.D.N.Y. 1996), aff’d 112 F.3d 98 (2nd Cir 1997). Precedent-setting summary judgment decision regarding FCRA reinvestigation duties and dismissing commercial damages claim. Casella v. Equifax Credit Info. Svcs., 56 F.3d 469, 475 (2d Cir. 1995). Writ of certiorari denied, 517 U.S. 1150 (1996). Widely cited FCRA decision affirming summary judgment on willfulness and speculative harm claims. Courts of Appeals’ decisions (unpublished/unreported) affirming favorable FCRA summary judgment dismissals: Spitzer, 3 Fed. Appx. 54 (4th Cir N.C. 2000); 2001 U.S. App. LEXIS 1788, cert. denied, 2001 U.S. LEXIS 5678; Marekh, 2 Fed. Appx. 155 (2nd Cir N.Y. 2001), cert. denied; 2001 U.S. LEXIS 4550; Mason, 2000 U.S. App. LEXIS 24057 (6th Cir. TN 2000). Collins v. Trans Union, 494 F. Supp. 2d 127, 130 (D. CT 2007). Summary judgment granted where plaintiff failed to establish FCRA reinvestigation violations in identity theft case and because no private right to injunctive relief exists under the FCRA. Valvo v. Trans Union LLC, 2006 U.S. Dist. LEXIS 1026 (D.R.I. 2006). Summary judgment granted on FCRA willfulness and commercial damages claims resulting in favorable settlement. Ahern v. Trans Union (DCT 2005). Identity theft jury trial. Won defense verdict in favor of CRA. Thomas v. Gulf Coast Credit Servs., 14 F. Supp. 2d 1228 (NDAL 2002). Summary judgment granted in FCRA reasonable procedures/identity theft claim because plaintiff failed to demonstrate causation of harm. Coleman v. Trans Union (DMS 2001). In jury trial, consumer represented by team of three firms employing three FCRA experts sought to hold Trans Union liable for identity theft. Won defense verdict in FCRA reasonable procedures, nominal verdict on reinvestigation claim; plaintiff’s claims for attorney’s fees and experts’ costs drastically reduced. Rohner Construction Co. v. Alexander Woodwork Company (Phila. C.C.P. 1996). Won defense verdict for large woodworking contractor in complex construction claim for lost profits. Goldstein v. Mizani (EDPA 1991). Won defense verdict for real estate developer against claim for fees, profits and commission by former partner and real estate broker. Arta, Inc. v. City of Philadelphia (Phila. C.C.P. 1986). Won lost profits for catering company against city after flood damaged company’s facilities (See reported appellate decision below). Arta, Inc. v. Ryan Corp., No. 36 T.D. 1986, Commonwealth Court of Pennsylvania, 110 Pa. Comw. 1; 531 A.2d 857; reargument denied. Trial court misapplied statutory limitation of damages in claims against city and incorrectly gave jury instruction limiting the damage award, where plaintiff’s expert provided sufficient evidence to support damage claim and city failed to present sufficient evidence of insurance benefits received by plaintiff.